Pamela Sydney Frankau (3 January 1908 – 8 June 1967) was a popular English novelist from a prominent artistic and literary family. Abandoned by her novelist father Gilbert Frankau at an early age, she soon became a prolific writer herself. She stopped writing for a decade after the death of her lover, the poet Humbert Wolfe, in 1940. After serving in World War II, she was married for several years to an American naval officer, but returned to England and resumed her writing career. Frankau was born in London, the younger daughter of Dorothea Frances Markham Drummond-Black and the novelist Gilbert Frankau. Her grandmother was the satirist Julia Frankau, one of several famous siblings, and her uncle was the British radio comedian, Ronald Frankau. Never attentive to his two daughters, her father abandoned the family for another woman in 1919, Frankau and her elder sister, Ursula, were sent as boarders to Burgess Hill Girls (previously named "Burgess Hill School for Girls"), Sussex, until 1924. Frankau wrote about this period in her autobiographical novel I Find Four People (1935). She had success as a writer from a young age. Her first novel, at age 19, Marriage of Harlequin (1927) was well received by the crtics. Over the next dozen years, she published 20 novels. She had a long but stormy friendship with the author and journalist Rebecca West. A long relationship with the married poet Humbert Wolfe ended only with his death in 1940. Frankau then ceased to write for almost ten years. 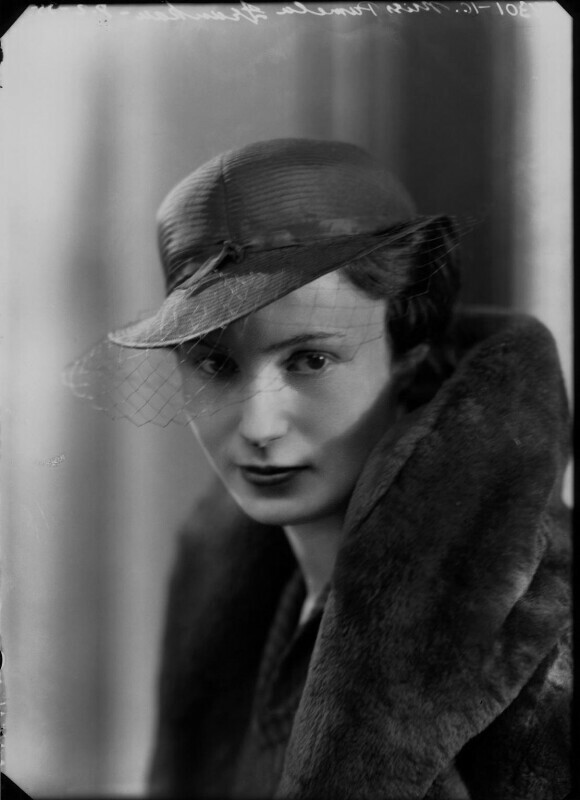 During the Second World War, she worked for the BBC, the Ministry of Food and then with the Auxiliary Territorial Service, where she began a lesbian affair with fellow officer Marjorie Vernon Whitefoord, who sponsored her conversion to Roman Catholicism in 1942. In 1945, she married Marshall Dill Jr (1916 – 2000), a former American naval intelligence officer. After the war Dill Jr became a University history professor. They resided in California, USA. In 1946 their only child, Anthony Marshall Dill died in infancy resulting from complications due to premature birth. The couple divorced in 1951 and Frankau later returned to London, England. Frankau published her most successful novel, The Willow Cabin in 1949, which was based partly on the experience of her love for Wolfe, and her following novels were widely read. First published in 1954, A Wreath for the Enemy is perhaps her most enduring novel and is still in print on both sides of the Atlantic. In the novel the events of one night transform what appears at first to be a typical adolescent crisis into a prolonged struggle for self-definition on the part of the novel's teenage protagonist. In part autobiographical, Frankau clearly identified with her lead character who is presented as a writer in development. A long and happy lesbian relationship with the theatre director Margaret Webster began in the mid-1950s. The couple divided their time between residences in Hampstead, London, France and Aquinnah, Martha's Vineyard, MA, USA. She wrote of her distant relationship with her father in Pen to Paper (1961). IIn 1962 Frankau was diagnosed with breast cancer with a poor prognosis due to the remedial cancer treatments available at the time. After a 5 year battle with the disease, Frankau died aged 59 at the Hampstead, London home she had shared with Margaret Webster. She was buried in a Catholic service in Hampstead Cemetery. Margaret Webster dedicated her first autobiography "The Same, Only Different: Five Generations of a Great Theatre Family" (1969) in Frankau memory. Frankau's final novel 'Colonel Blessington' was edited by her cousin, the writer Diana Raymond and posthumously published in 1968.